Will Mortgage Rates Ever Go Back Up? Some of you reading this will remember this number – 16.63 percent. That was the average mortgage rate in 1981. In fact, from 1980 to 1991 the average mortgage never dipped below 10 percent. The 1990’s were a little kinder for homebuyers and homeowners though – the average mortgage rate for that decade was a mere 8.11 percent. As we ushered in a new millennia in 2000 the average mortgage rate stood squarely at 8.05 percent before dipping into new territory in 2003 – the fives. New ground was broken yet again in 2010 with average mortgage rate of 4.69 percent. As of July 2016 the average mortgage rate is approximately 3.67 percent and has remained below 5 percent for more than 6 years. Most pundits whiffed on my mortgage rate predictions last year. They assumed mortgage rates would – that they had to actually – return to more normal levels. They haven’t and it is starting to appear that they won’t anytime soon. Even though I got my rate predictions mostly right last year (and so far this year), Brexit opened my eyes to a paradigm shift that has been in the works for years. The world has gone completely off its rocker. Brexit illustrates that. Chaos has become the new normal – the new paradigm for mortgage rates. If we are in a “new normal” then what caused this mortgage rate paradigm shift? Mortgage rates are very susceptible to economic activity of all kinds, just like treasuries and other bonds. They are also very susceptible to global events and turmoil. Jobs reports, GDP growth, existing home sales, the consumer price index, consumer confidence and a whole host of other data on the economic calendar can – and often does – move mortgage rates significantly. So can mass shootings or terrorist attacks domestically. So can events abroad. We are seeing that now and we will probably be seeing that for sometime based on global and domestic projections. As a rule of thumb, bad economic news brings lower mortgage rates and good economic news moves mortgage rates higher. Investors are a fickle, risk averse bunch for the most part. If things appear problematic, they will sell stocks and turn to bonds and mortgage backed securities (MBS). They will diversify. The fresh demand for safe investments that drives global investors toward bonds, treasuries and mortgage-backed securities pushes yields lower and mortgage rates down. This global investment trend is often referred to as a “flight to safety” or “flight to quality”. Flight to safety is simply investors moving their capital away from riskier investments to the safest possible investment vehicles. Brexit is a fine example of investors seeking high ground in the warm embrace of United States Treasuries and mortgage-backed securities. America has always been the go-to flight to safety destination for international investors. That’s why it is a terrible idea – idiotic even – for Congress to have this annual discussion on not raising the debt ceiling and therefore defaulting on our treasury debt – but I digress. Investors got spooked bigtime on the Brexit news and – viola! – the lowest mortgage rates of the year followed the very next day. Brexit isn’t the only factor spurring long-term low mortgage rates though. Weak global growth nearly across the board and currency changes (manipulation in many cases) have their role as does domestic strife precipitated by home-grown and international terrorist threats. Add in a healthy dose of domestic misogynists, bigots and general xenophobia and the threat to the U.S. economy is very real. Ruining the American labor market by perpetuating these archaic belief systems based on fallacious logic will be terrible for America, but – in all likelihood – great for mortgage rates. It’s crazy I just had to write that, but it’s true. Afterall, a poor economy is usually stimulated by lowering the costs of borrowing money and if these old-fashioned subgroups of a bygone American era have their druthers, then we will all suffer economically. Mortgages will continue to be affordable though – so there’s that at least. The International Monetary Fund – IMF – has a veritable cornucopia of global economic concerns at the moment. Japan’s economy is still not growing either. IMF sees the Japanese economy growing a mere 0.3 percent this year. Mostly on currency concerns as the appreciation of the yen wipes out the benefits of a delay in increasing the nation’s consumption tax. Russia has some serious issues too. Their economy will clearly shrink in the coming years as they deal with global sanctions stemming from their illegal invasion of Crimea and the Ukraine. GDP should drop approximately 2 percent as economic growth shrinks nearly 5 percent. Even without the sanctions Russia was in trouble. Oil revenues butter their bread and those are down sharply in most oil producing countries. We’ve already mentioned Europe which is forecasting lower growth based on the United Kingdom’s exit from the EU. That hurts the UK economy, but also stings the economies in the European mainland as well. It’s not great for the U.S. either. China is playing with everyone through currency manipulation, but more on the effects of that later. Here at home the economy still grows – slowly. The U.S. economy expanded less than forecasted in the second quarter of 2016 after a weaker start to the year as companies slimmed down inventories and remained wary of investing amid shaky global demand. Gross domestic product rose at a 1.2 percent annualized rate after a 0.8 percent gain last quarter. Household consumption (a bright spot), which accounts for about 70 percent of the economy, grew at a 4.2 percent annualized rate, the biggest jump since the end of 2014 and adding 2.83 percentage points to growth. The U.S. dollar is performing especially well too. Currency devaluation is often the trigger for investors to seek shelter in flight to safety investments. If an investment is in Rubles and the Ruble drops so does the value of that investment. So, a strong dollar is a good thing right? It makes it cheaper to travel to and to import foreign goods. It adds to investment appreciation. But, a really strong currency can exert a significant drag on the economy over the long term, as whole industries are rendered uncompetitive – priced out of the market. See my comments on China above. They’re in the business of making things and that makes them active players in the currency market. They want their products to be affordable and when prices naturally rise they simply devalue their currency. When American businesses can’t compete they close and when they close people lose their jobs. Those jobs head abroad to China, to Mexico, to wherever its cheaper to produce those goods. When jobs disappear the Fed is hesitant to raise the Fed Funds Rate and a minuscule cost for banks to borrow usually carries over to the mortgage market. The Fed dances a precarious swing dance between inflation, currency value and economic stimulus (or vice-versa) constantly. 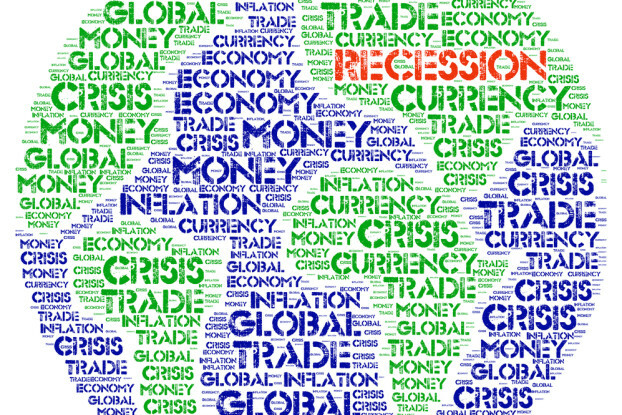 Directly or indirectly, therefore, currency levels affect a number of key economic variables. Economic variables – as we discussed earlier – play a role in the interest rate you pay on your mortgage in addition to the returns on your 401k, the price of your groceries and even your job prospects. Currency value can also drive or suppress inflation. Inflation can greatly impact mortgage rates. If inflation fears are strong, interest rates will rise to curb the money supply, but in times when there is little risk of inflation, mortgage rates will most likely fall. Inflation remains solidly below the Federal Reserve mandated danger-zone of 2 percent. Mortgage demand and originations can also have an effect. If mortgage originations skyrocket the supply of mortgage-backed securities (MBS) may rise beyond the associated demand and prices will need to drop to become attractive to buyers. This means the yield will rise, thus pushing mortgage rates higher. This won’t happen though. It can’t happen actually. We don’t have the housing inventory available for a surge in purchase applications and – with mortgage rates this low for this long – many homeowners have already completed their refinances. YOU matter as well. If you’re a risky borrower, at least in the eyes of prospective lenders, your mortgage rate may be much higher. Things like a poor credit score and a small down payment could lead to a higher rate, whereas borrowers with stellar credit and plenty of assets will get access to the lowest rates available. As is always the case, the better the housing climate the less you become a factor because your collateral – the home – is valuable enough to recoup any loses should you default. The good news is that mortgage lenders are showing more caution than they exercised leading up to the housing crash in 2007. The short and skinny of the situation is that global growth is slow and will likely remain that way for a few years. Investors are not sure where to put their money and they’re continually choosing flight to safety investments in order to protect it. As long as they continue to make that choice and domestic growth continues to be stymied by internal policies that are driven by political grandstanding and nonsensical logic we can expect low mortgage rates. Maybe not forever, but for the next couple years at least. That said, don’t be the sucker that continually waits for mortgage rates to go lower and lower. Take your win and reap the reward. After all, you could be buying in the 1980’s and looking at 13 percent. Housing prices are only going up so that .125 percent lower rate 6 months from now will absolutely cost you more on the purchase price and on your monthly mortgage payment despite the lower mortgage rate. Bottom line – if you sit on the sideline waiting for all the economic stars to align then you’ll never get in the game. If you’re not playing in the game you can’t score.